We offer residential collection service in the Newtown Square and Edgemont areas of South-Eastern Pennsylvania. With our competitive prices, prompt and courteous service, choosing J&K as your collection service is a win-win situation. We offer a curbside collection service as well as a residential walk-in service. 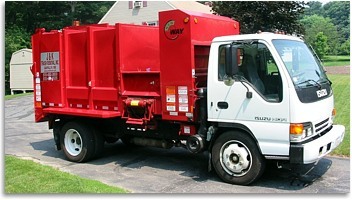 With our small collection truck, let us come up your driveway to collect your trash. We also offer toter's for your purchase.